Well, my Seafoam kit arrived last week so I was able to get my pages together for Project Life! I am so stoked to be working on this new year with my new kit! Above, you will see my cover page :) I still need to take a cute photo of the three of us to insert into that extra pocket but for now, it's empty and Im ok with that. 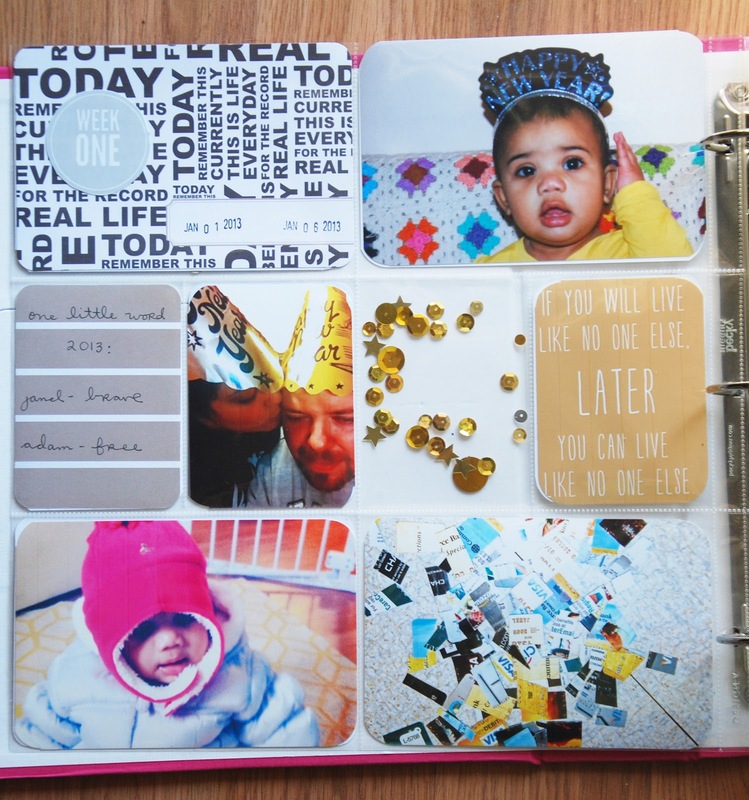 Above are some photos from New Years Eve, a little pocket of sequins, our "one little words" for 2013, a photo of Amelia all bundled up for snow, and a documentation to symbolize Adam and I's new budget plan for 2013. We are following Dave Ramsey's approach and that quote is one of his (that I secretly laugh about). 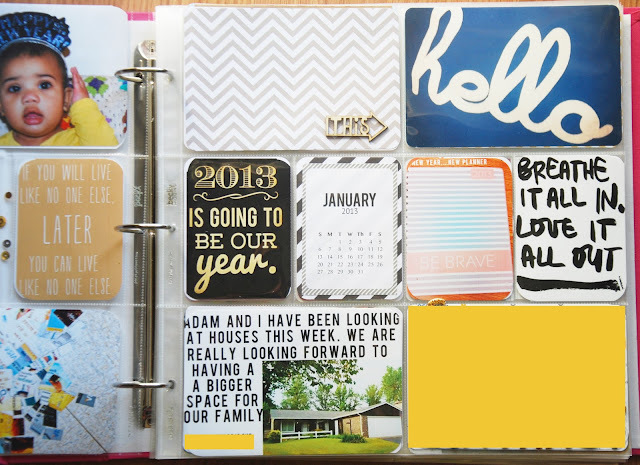 Well, there you go, Week one of project life 2013. I'm so excited to be documenting with Project Life again this year. I'll be posting my Week 2 and Week 3 later this week so check back. Would you like to know more about Project Life? You can read all about it here. 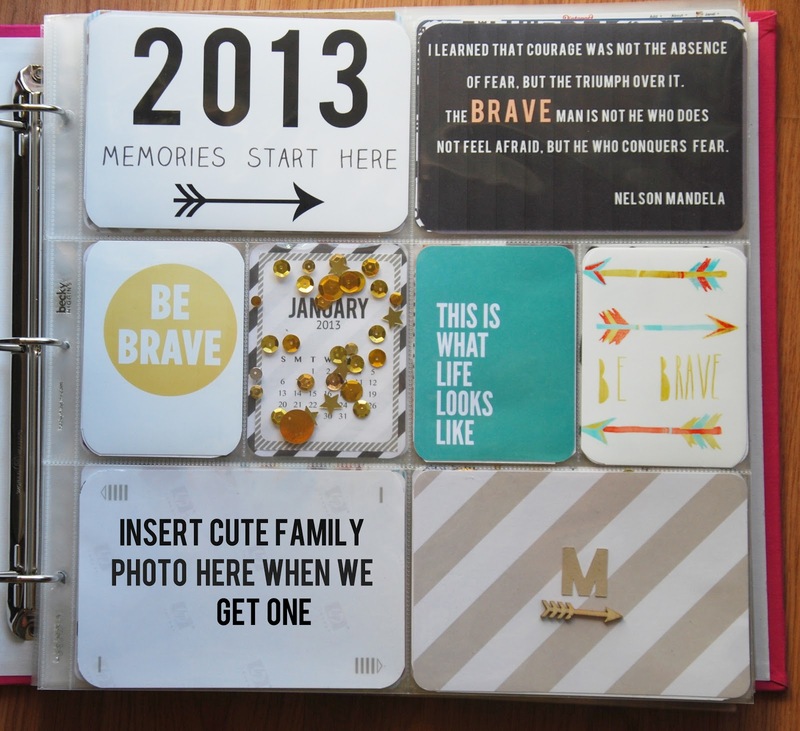 You can also check out more of my Project Life pages right here! Love your PL. I got the Seafoam kit too and this is my first time doing PL. I have to get photos printed and get started. Can I ask where you find the quotes or do you make those on your own? I find some of them on Pinterest and I usually make most of them in PS elements :) I can't wait to see your pages. Im sure they are going to be AMAZING! !